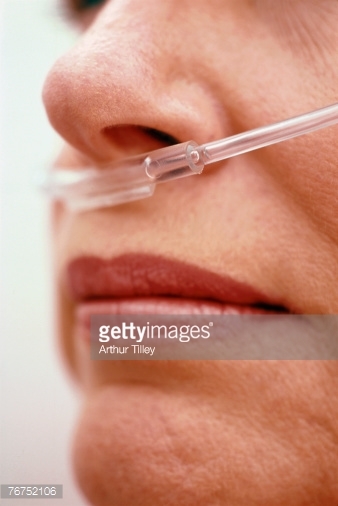 STATEMENTS MADE ON THE ABSOLUTELY OXYGEN WEBSITE HAVE NOT BEEN EVALUATED BY THE FOOD AND DRUG ADMINISTRATION. Absolutely OXYGEN, and associated equipment suppliers are not represented to diagnose, treat, prevent any disease or medical problem. The information shared here is NOT intended for self diagnosis. DO NOT TREAT BABIES refer to Medical Doctor Only. Always supervise children during oxygen therapy. 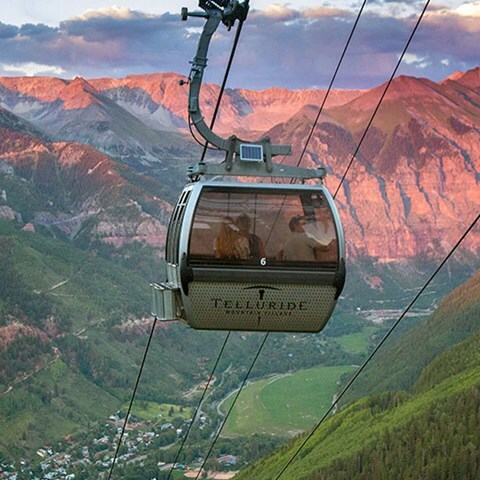 HAVE YOU, A FAMILY MEMBER, OR FRIEND HAD ALTITUDE ILLNESS IN THE PAST? If you have had altitude illness in the past you may be at risk to get it again, since there is a significant genetic component to altitude illness. People are generally susceptible or resistant to altitude illness, and this is generally reproducible on multiple trips to high altitude if the ascent rate is similar, but as always, there are exceptions. Having been to altitude once without problems should not encourage too great a sense of optimism that you will never get sick in the future. And even though you have had altitude illness in the past, you can safely return to altitude without getting sick again if you educate yourself on altitude illness and follow recommended guidelines. NEVER GIVE OXYGEN TO CHILDREN YOUNGER THAN 36 MONTHS WITHOUT FIRST CONSULTING A PHYSICIAN. HOW CAN I PREVENT ALTITUDE ILLNESS? As with any illness, prevention is always the best approach. These are things you can do to improve your chances of not getting altitude illness. Slow ascent to altitude is the key to prevention. Almost anyone can get altitude illness if they go too high, too quickly. Because of the individual differences, a preventive rate of ascent for one person may be too slow or fast for another. An overnight stay at an intermediate altitude such as Denver (5280 ft) or preferably a bit higher prior to further ascent into the mountains is very helpful. 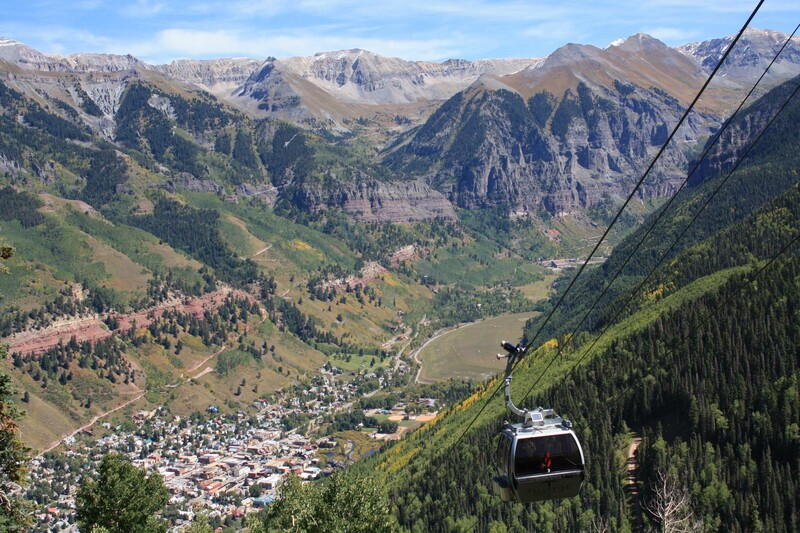 If traveling to Telluride, overnighting in Ridgway, Ouray, Placerville or Durango would be helpful, especially if the destination is Mountain Village. Staying hydrated is important as it aids your body in acclimatizing. Avoid use of alcohol or sleeping agents of the benzodiazepine family, since they both suppress breathing and result in lower blood oxygen. Other sleeping pills like Ambien® or Lunesta® do not affect breathing at high altitude and are safe. Avoid over-exertion for 1-2 days after arrival to altitude. Acetazolamide (Diamox®) taken 24 hours prior to arrival to altitude and the first 2 days at altitude is 75% effective in preventing AMS. It speeds up the acclimatization process in the body, stimulates breathing, raises blood oxygen and increases urination. Gingko biloba, according to some studies was effective in preventing AMS when started 5 days prior to ascending to altitude, at a dose of 100 mg twice a day. AMS can afflict any visitor sleeping higher than 6000 feet. In Colorado, between 15 and 40% of visitors sleeping at 8000 ft or higher get AMS, with the incidence the highest at the highest resorts. Most folks visiting these areas travel in one day from low to high altitude; if an intermediate day is spent in Denver or a similar altitude, the incidence of AMS is much lower. One survey done at a Colorado ski resort at 9800 ft found that 60% of visitors developed a headache, the first sign of AMS, and also called high altitude headache. To meet the definition of AMS, other symptoms need to develop, such as loss of appetite, sometimes vomiting, weakness, dizziness, fatigue, and difficulty sleeping. AMS feels exactly like a bad hangover. Symptoms can occur as early as 2 hours after arrival to altitude, or be delayed for 24 hours or so. Symptoms of AMS do NOT develop after 2 days of feeling well, unless one has moved to a higher altitude. . Therefore, a person who has been doing well at altitude and then gets sick after two or three days needs to be evaluated for other conditions. We have to admit that the exact cause of AMS is still not clear. Of course, AMS is due to low oxygen, but the steps between low oxygen and AMS are fuzzy. Current thinking is that hypoxia (low oxygen) in the air and blood causes the blood vessels of the brain to dilate in an attempt to get more oxygen. Something about this vasodilation causes the headache. And because there is more blood in the brain, the brain s slightly swollen. Although everyone going to high altitude has slight brain swelling, it is worse in those who develop AMS. This swelling causes pressure on the brain as it is squeezed against the skull, and the pressure might be the cause of the symptoms. Some researchers think that AMS is more like a migraine headache, and indeed, AMS and migraine have some similarities, but they are not identical. Rarely, AMS will go on to a more severe form of altitude illness, high altitude cerebral edema (HACE). 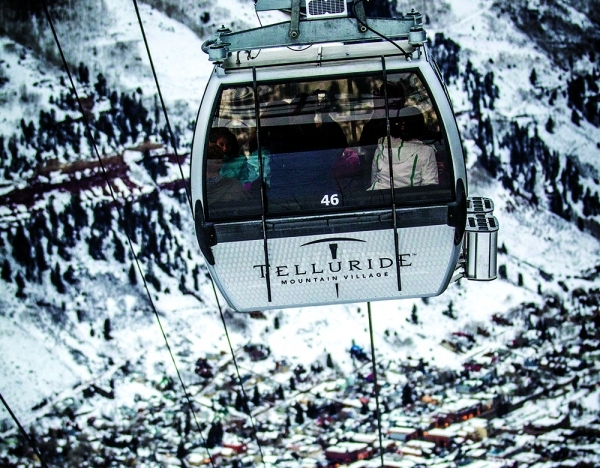 While very unusual in Colorado ski resorts, being aware of this condition, recognizing symptoms early, and seeking treatment will easily avoid severe illness. Diagnosis of AMS is based on the classic symptoms in someone who has been at high altitude for less than 2 or 3 days. Headache is the cardinal symptom, but is not always present. Other symptoms include dizziness, feeling chilled, trouble sleeping, loss of appetite or nausea, fatigue, and sometimes irritability. The Lake Louise Score is a scoring system of symptoms developed by experts at a conference in Lake Louise, Canada. A score of 4 or more is considered diagnostic for AMS for research purposes. However, a bad headache by itself may be sufficient for the diagnosis of AMS in mountain clinics. WHAT ARE THE RISK FACTORS FOR AMS? HOW DO YOU TREAT AMS? AMS usually resolves by itself, within 6 to 48 hours. In one study in Colorado, it lasted an average of 16 hours. However, certain actions can help or hinder its resolution. Do not proceed to a higher altitude if you have AMS. You must stay at the same altitude and rest at a minimum, or you can descend to a lower altitude; this always works, but is often not necessary. If you are getting very ill, then you must go to a lower elevation, or start on oxygen. Descent to 1000 ft lower is generally adequate. At a ski resort, seeking medical attention is the best option. The headache of AMS improves with rest, and medications such as ibuprofen (Motrin) or acetaminophen (Tylenol®) are often sufficient. 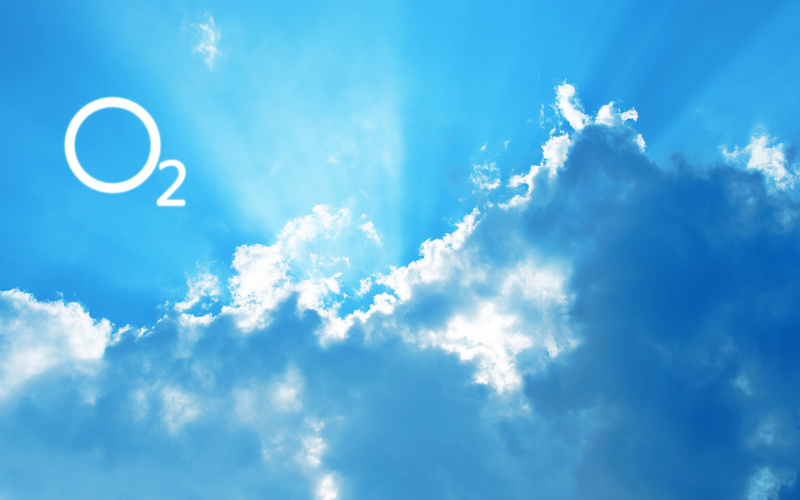 Oxygen breathing will improve symptoms rapidly, usually within minutes. Acetazolamide (Diamox®) is a prescription medication that increases breathing, raises the blood oxygen level, speeds up acclimatization and therefore resolves AMS. The usual dosage is 125 mg twice a day for a few days. Dexamethasone (Decadron®) is a prescription steroid medication that reduces swelling in the brain and improves symptoms, but it is generally reserved for moderate to severe illness. Dosage is 4 mg every 6 hours, usually for 24 hours. A hyperbaric bag is a portable pressurized bag which simulates going to a lower altitude. 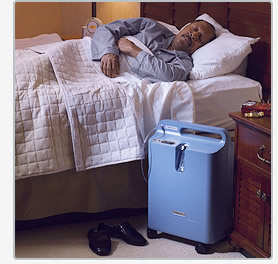 It is mainly used in remote areas where oxygen and descent are less available options. WHAT IS HIGH ALTITUDE PULMONARY EDEMA (HAPE)? HAPE is an accumulation of fluid in the air sacs of the lungs, due to leaky capillaries. It severely inhibits exchange of oxygen in the lungs, and can result in death . HAPE symptoms start gradually within the first 2-4 days at altitude. The earliest symptoms are shortness of breath with exercise, with decreased exercise performance. As more fluid accumulates in the lungs, symptoms progress to severe shortness of breath even at rest, a persistent cough sometimes with blood, chest tightness or congestion, and severe weakness. Untreated patients progress to unconsciousness, coma, and death. HOW OFTEN DO PEOPLE IN COLORADO GET HAPE? HAPE is much less common than AMS in Colorado. A survey done in Summit County showed 150 patients diagnosed with HAPE over a three year period. Others estimate it occurs in about one of every 10,000 skiers. Rarely does anyone die of HAPE in Colorado because medical care is readily available. About half of HAPE patients also experience AMS, leaving the other half without the ?warning' symptoms of headache and other AMS symptoms. Because of this, symptoms may be ignored until breathing becomes very difficult. DO CHILDREN GET AMS? A CHILD WITH PULMONARY EDEMA. Lake Louise Criteria for diagnosing HAPE are a combination of symptoms and physical exam findings. At least two of the following symptoms: shortness of breath at rest, cough, weakness and decreased exercise performance, chest tightness or congestion; AND at least two of the following signs on physical exam: fast heart rate, fast breathing, crackles or wheezing heard in the lungs, or low oxygen measured by a device called a pulse oximeter or signs of low oxygen such as dusky or bluish appearance of the skin. Chest X-ray in a HAPE patient confirms fluid in the lungs. THE SAME PRINCIPLES OF PREVENTION IN ADULTS APPLY TO CHILDREN. Slow ascent, such as spending a night in Denver or an intermediate altitude significantly reduces your child's chance of AMS. Children may also take Diamox® to prevent AMS. Special pediatric dosing of 3-5mg/kg per day applies for children. Mild symptoms can be treated with rest, Tylenol®, or ibuprofen. Children that seem sicker should be taken to a physician for medical care. Treatment is similar to adults and includes oxygen, Diamox®, dexamethasone, or mediations for nausea and vomitingChildren can get HAPE, just as adults do., Children who live at high altitude seem to get reentry HAPE more easily than adults. Reentry HAPE occurs when residents of high altitude leave for a period of time, from days to weeks, and upon returning to their high altitude home get HAPE. It may occur within 24 hours after return to high altitude and is diagnosed and treated the same as regular HAPE. WHAT HAPPENS IN THE LUNGS TO CAUSE HAPE? The blood pressure in the lungs rises in response to low oxygen levels. In some areas of the lung, the blood vessels cannot contain high pressure and flow and breakdown of the small vessels causes leaking of fluid across the membranes into the air sacs. AM I AT RISK FOR HAPE? Oxygen and rest are the main treatments for HAPE. 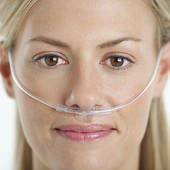 Oxygen increases the oxygen in the blood as well as lowers the pressure in the lung blood vessels. Many times oxygen and rest are all a patient needs to get better. In most ski resorts, those with HAPE use an oxygen concentrator machine for 2 to 3 days, the HAPE resolves, and they can then ski. Medications such as Viagra®, Cialis® and nifedipine are sometimes used in treatment as they lower the blood pressure in the lungs. Clinical research has yet to demonstrate if they have any value over oxygen alone. Descent to a lower altitude may be needed if a patient does not get better with oxygen. When oxygen is not available, descent is mandatory. Hyperbaric chambers including portable ones such as the Gamow® bag may be used to lower the altitude if a person is in the backcountry and unable to descend immediately because of weather or injury. WHAT IS HIGH ALTITUDE CEREBRAL EDEMA (HACE)? Edema (HAPE). AMS and HACE are considered a spectrum of the same altitude illness. The small amount of swelling in the brain that contributes to mild AMS becomes significant swelling and progresses to severe headache, confusion, lethargy, lack of coordination, irritability, vomiting, seizures, coma, and eventually death if untreated. A person with HACE may look like a confused, disoriented drunk person, fumbling with clothing, unable to walk a straight line, and with slurred speech. HOW DO YOU DIAGNOSIS HACE? The Lake Louise Criteria for HACE requires a change in mental status and ataxia (unsteady gait) in a person with a recent ascent to high altitude. A good rule of thumb: if someone is acting drunk at high altitude (and not on drugs or alcohol) then suspect HACE. HOW OFTEN DO PEOPLE GET HACE IN COLORADO? 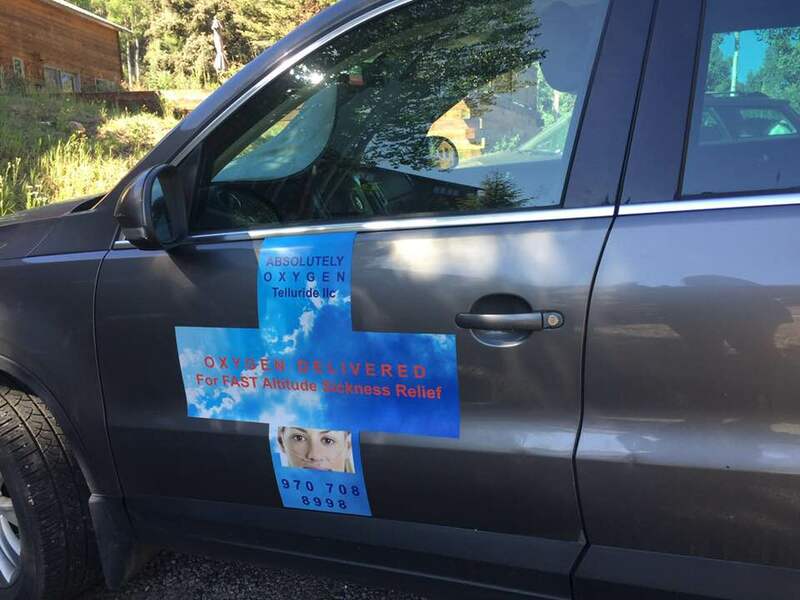 While HACE is a life-threatening illness, travelers very rarely get it in Colorado. HACE usually occurs at altitudes over 13,000 ft (4000 m). Early symptoms of headache and AMS precede the more life threatening symptoms of HACE, and treatment of AMS prevents progression to HACE.. In Colorado, HACE is only seen in conjunction with high altitude pulmonary edema (see below). This is not the case in other areas of the world such as the Himalayas where the altitude is much higher. AM I AT RISK FOR HACE? Any condition that takes up space in the brain such as a brain tumor, hydrocephalus, or recent bleeding increases the risk for HACE as there is less room for brain swelling. HOW DO I PREVENT HACE? Preventive measures are the same as for AMS. Drink a little extra water. Avoid heavy exertion the first 1-2 days. Avoid alcohol or medications that reduce your breathing drive. Acetazolamide speeds up acclimatization and prevents HACE as well as AMS. HOW DO YOU TREAT HACE? Dexamethasone, a steroid medication should be given immediately. If a person cannot descend due to weather or other conditions, then hyperbaric therapy with a Gamow bag or other hyperbaric bag should be initiated, if available. WHAT IS PERIODIC BREATHING DURING SLEEP? This condition, which can cause trouble sleeping, happens quite frequently but is not associated with altitude illness. It results from a battle within the body over control of breathing during sleep. Oxygen sensors in the body command the brain to increase breathing, which causes the lungs to blow off CO2. But CO2 sensors in the body then tell the brain to stop breathing, because CO2 is getting too low. So breathing then stops for about 12 seconds, until the oxygen sensors take over again. The result is an irregular pattern of breathing, with 4 or so large breaths followed by no breaths. The first large breath will sometimes wake up a person, with a sensation of feeling breathless or suffocated. This pattern may continue throughout the day as well, but typically is most disturbing at night as it frequently wakes a person multiple times. Although uncomfortable it is not dangerous. It is easily treated with a small dose of Diamox® (62.5 or 125 mg) taken before bedtime; this smooths out the breathing and improves sleep and raises blood oxygen. If you are not sleeping well because of periodic breathing, Diamox® should be the first choice of medication to improve sleep. Benzodiazepines such as temazepam (Restoril®), lorazepam (Ativan®), diazepam (Valium®), and alprazalam (Xanax®) should generally be avoided as they decrease the breathing drive, especially when combined with alcohol. Sleep medication such as zolpidem (Ambien®) and eszopiclone (Lunesta®) are safe at altitude and seem to work well without affecting the breathing drive. Some folks use over-the-counter sleep aids such as Tylenol PM® which contains Benadryl®, an antihistamine. Antihistamines have not been shown to affect breathing and may be taken safely. If you are taking trazadone for sleep, there is no evidence that it decreases the breathing drive and is likely safe at altitude. If you have obstructive sleep apnea (OSA), this can worsen your sleeping symptoms at altitude. If you sleep with CPAP (continuous positive airway pressure) you should make sure to use it at altitude. WHY DO I GET SWELLING IN MY HANDS AND FEET? Swelling sometimes occurs in the arms, legs and even the face at altitude and is called peripheral edema. It is sometimes associated with altitude illness but occurs frequently in people without any other symptoms. Women experience peripheral edema more than men. Exercise may increase edema. Edema will improve with Diamox® or another mild diuretic, but it also resolves spontaneously. While not serious, this condition can be quite discomforting to those experiencing it as well as those in close proximity. During ascent to altitude barometric pressure decreases resulting in expansion of gas in the bowel. This creates a larger volume of gas needing to be passed as well as abdominal discomfort. Simethicone (Gas XTM) over the counter as well as some digestive enzymes may help relieve some of the discomfort. Certain foods known to cause gas may need to be temporarily avoided. Occasionally, travelers to moderate altitude will experience a brief fainting episode during the first 24 hours. This generally has to do with changes in blood pressure that occur at altitude. It happens only once, generally after eating a meal or drinking alcohol. These episodes are not serious and do not indicate a problem with your heart. They are unassociated with altitude sickness.